Nothing says Halifax like a classic lobster dinner! 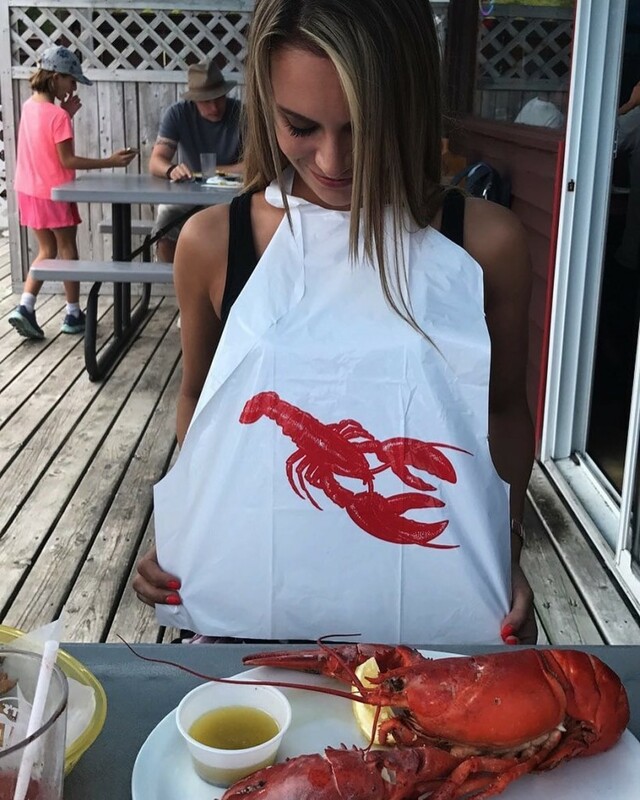 Whether you’ve been the the city a thousand times, you’re a local with guests visiting from out of town, or it’s your very first time in Halifax – a lobster dinner is a must-experience item on any Halifax bucket list! Grab your bibs and check out our rundown of the BEST places to enjoy the East Coast’s crustacean sensation in Halifax. Located right on the Halifax waterfront on a patio that sits on top of the water, you can dine on a delicious lobster dinner with the sea breeze crossing through the open windows! The only thing more popular than The Five Fisherman’s menu is its reputation for being the most haunted spot in the city. Keep an eye out for supernatural phenomena while you enjoy your lobster at one of Halifax’s top rated seafood restaurants. If you’re looking for an authentic no-frills lobster dinner, head just outside the city to Ryer Lobsters. With fresh lobster, rustic picnic tables, and a view of the ocean, this spot is makes for a great trip on its own, but it’s also the perfect stop on your way to visit Peggy’s Cove. If you want to pull out the big guns, The Press Gang is the place to go. A visit here is a culinary experience and well worth the higher price point. This beautiful-family run spot is located in Eastern Passage, just a 15 minute drive from downtown Halifax. Enjoy a delicious lobster dinner on their wrap around patio overlooking the water. In addition to lobster dinner, you’ll find lobster chowder, lobster rolls, and a chilled lobster plate at this upscale restaurant. Enjoy your lobster options inside or on their waterfront patio. With an emphasis on fresh, local ingredients, McKelvie’s offers an awesome lobster dinner, but their extensive menu makes it a great spot for all seafood lovers. A Halifax classic, the Bluenose II has been open since 1964 and serves up lobster dinner in their cozy diner-like setting. If you want to skip the white tablecloth and feel like a local, this is the place to be. After being open for 81 years, locals and tourists still flock to The Shore Club for their famous lobster dinner. Located right off the beach in Hubbards, just 30 minutes outside the city, it’s well worth the drive if you’re looking for a true Nova Scotian experience. Stick around after dinner for live music and dancing or take an evening stroll along the beach. Dinner is served Wed-Sun from 4-8 pm throughout the summertime.